Jean joins the gang at Nerds Assemble to talk gaming nostalgia, what it’s like to work with kid creators, the challenges of creating a game engine at the same time you’re building content and why Trumpy Cat needed to fall into a deep dark void (thanks Keiraaaaaaaa!). This week: the Nerds crew get to grill our special guest Jean Leggett about the creation and development of her and her husband’s games development company, One More Story Games (you can play some of their games by clicking through to their website). So join Paul, Emily, Paul and Jean as they discuss a very unique take on developing games. 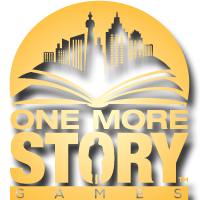 You can see Jean’s TEDx Talk about the history of One More Story Games below. Click here to listen in your browser (right-click and ‘Save As’ to download). Find the podcast on Stitcher here.